In times gone by, when sending correspondence the sender would secure the documents by melting wax over the join or closing point, and make an impression in the warm wax with their Ring Seal. This would ensure that the receiver would know if the correspondence was genuine and that it had not been tampered with. 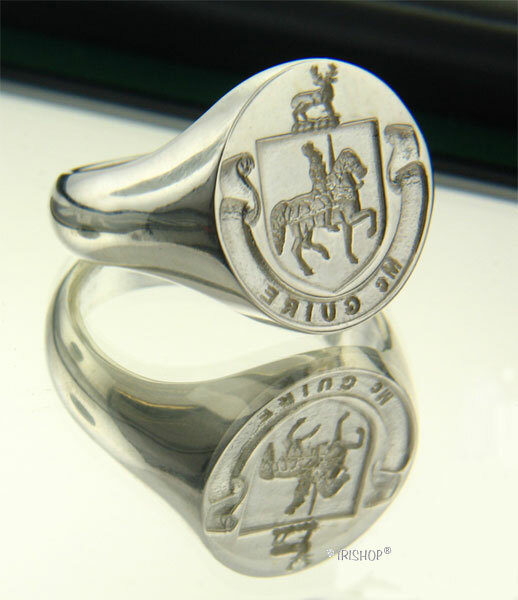 This Irish Ring would often be passed down the generations within a family. 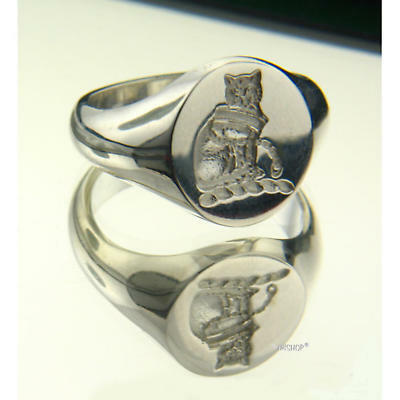 Features: Arms (shield), Crest (above shield) and Name Ribbon This is a SEAL Ring - details and name are reversed. 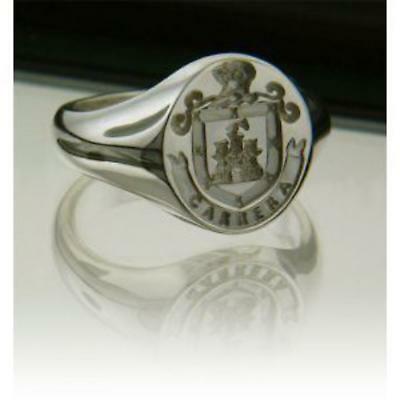 Made in Ireland and hallmarked by the Assay Office in Dublin Castle. Sizes 6-13 (including half sizes). FREE Presentation Box. Each ring is individually crafted by our Master Jeweler and finished to very high standard. Ring Face Size: .75 inches. Weight:18 to 28 grams, depending on Metal. 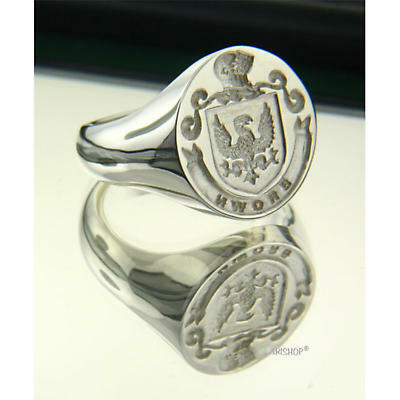 This ring is made to order. Please allow approx. 10-14 working days for this item to be completed.